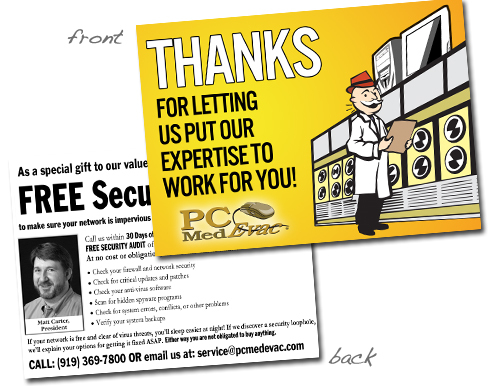 Get your postcard printed and mailed out to your clients as low as at 79¢/each! 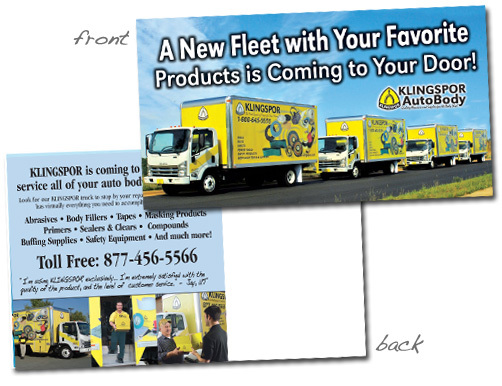 Postcards have been a staple to our print services from the beginning. Postcards are very low cost to our clients and AG Advertising Services can design a postcard that not only attracts consumers, but excites them causing them to remember your existence and transform them into a client. Entice your target audience with a combination of synergy between your website and all your other printed material. Let AG Advertising Services make your clients recognize at first glance your logo, your web site, your stationery, in addition to other marketing materials. 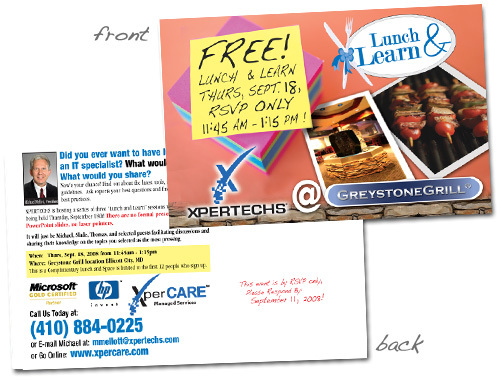 Using the right size postcard will eliminate the cost of printing and mailing if designed correctly. The other important key ingredient to a successful postcard is having the right mailing list. Make sure you receive your list from a recommended business leads company that uses current addresses. If you need assistance with your leads before you start, please contact us to ask more. Much like websites, a postcard has very little exposure time before it gets tossed in the garbage. We not only will create a nice postcard for you, we will also campaign them to keep your potential clients interested. Campaigning your marketing material each month to your audience is an absolute must! 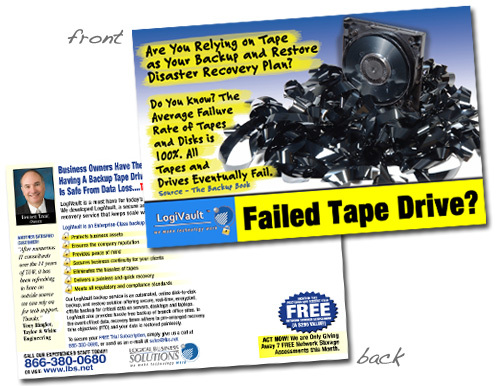 Once you are part of our postcard campaigning program first initial postcard is designed, we will professionally design and print your postcards in 8.5" x 5.5" size, full color, 100# cover weight paper stock. You will also receive a proof to make your set revisions to make any changes needed. Price includes mailing, addressing and standard postage! *Postcards under 500 qty are handstamped first class. Over 500 qty includes standard rate postcard unless you choose the first class option. A flat $349 one-time setup design fee is to begin our postcard program. Must be current Technology Marketing Toolkit member. This price includes Aaron to personally design the "look" of your postcards to have a distinguished and similar look to match all of your other marketing material. As well as his knowledge with over 8 years working directly with Robin Robins and the Technology Marketing Toolkit. Once we receive the required information, you will receive your proof within 3 business days, 1 full set of revisions and a box of 100 professionally printed postcards, sent to your door, Free! Full color both sides printed on 100# cover weight, UV gloss on the front only. "AG Advertising is the best graphics design firm I have ever worked with! Aaron is super friendly and "gets it" when it comes to marketing work for IT service companies like mine. Aaron's prices are very fair and service is super speedy. Time after time, I bring up new ideas and Aaron helps give me direction and his experience so I can bring my ideas to life!"